The Human Resources Department provides leadership in the areas of recruitment, selection and retention of employees within the DeForest Area School District. The department is responsible for the development, implementation, and administration of employment policies, employee benefits, compliance with employment laws, teacher licensing, and contract negotiations. Please use the website resources to access important information communicated through the DeForest Area School District Human Resources Department. 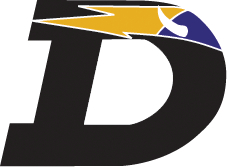 Please search our DASD Employment page for details on open positions and apply online. If you are seeking additional information on any human resource related topics, please contact one of our HR Department Staff.